This week is Living Wage Week. 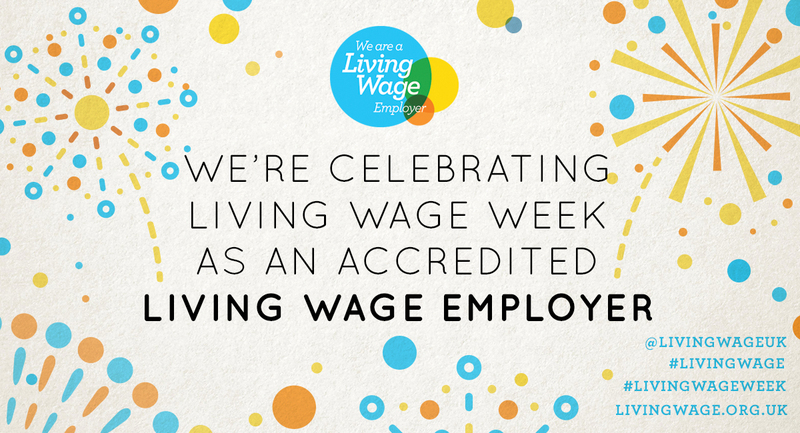 We also believe that a hard day’s work deserves a fair day’s pay and are delighted that we are an accredited Living Wage Employer. For more information and to join us in supporting this great cause go to www.livingwage.org.uk.